"April seasonally is a strong month. You get increased spending from the refunds coming through, but it's more of just a seasonal phenomena," said Paul Hickey, co-founder of Bespoke. "April's a real strong month. It's the end of the six month stretch, where returns tend to be positive." Right after April comes the '"sell in May and go away" period for stocks. That's May through October when the market does not do as well as the previous six months. For instance, the Dow was down 0.6 percent on average in the period May 1 through Oct. 31, going back to 1950, according to the Stock Trader's Almanac. In the Nov. 1 to April 30 period over the same years, the Dow gained an average 7.5%. "April is a little tricky. It's when earnings generally start to come out," Hickey said. 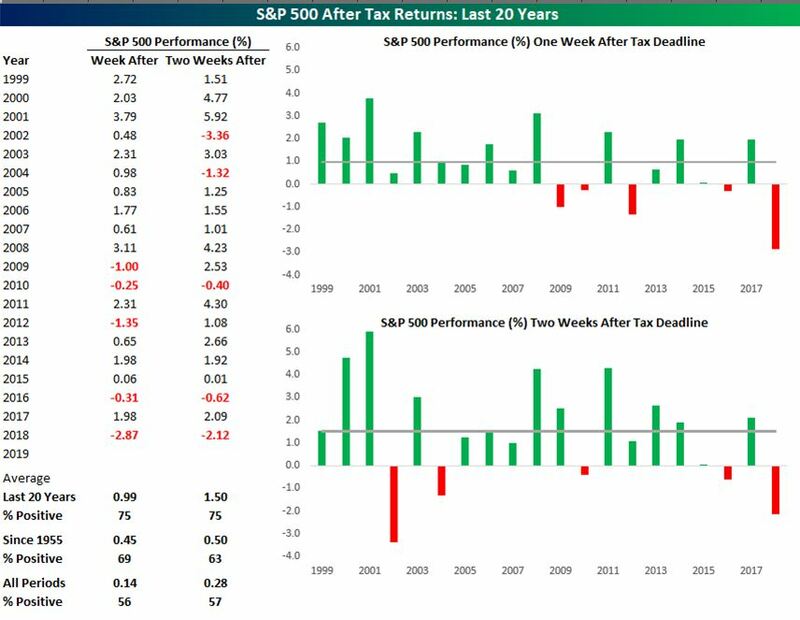 "The Q1 reporting period has historically yielded positive returns for stocks." He also said there were a good number of downward revisions to first quarter earnings.